Marble Cake - rich and buttery homemade marble cake recipe with lots of chocolate. Every bite is chocolatey and sweet. Make it at home today! Marble cake is one of my favorite cakes ever. Imagine rich, moist and buttery cake with chocolate swirls that every bite is chocolatey, sweet and decadent. It is great with a cup of coffee or tea and I love it whenever I I need a quick sweet bite. 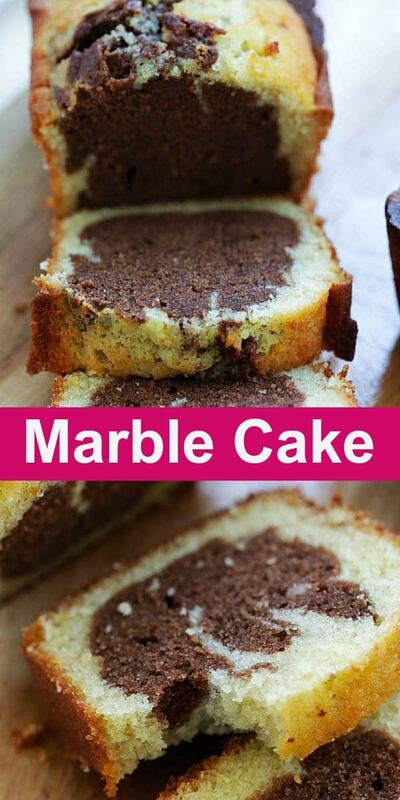 This is the easiest marble cake recipe step by step. You will learn how to make the cake mix, use cocoa powder to make the chocolate batter, plus techniques to create the marble effect in the cake. This recipe is adapted from my butter cake recipe; it yields the BEST I have ever tasted. While you can certainly use chocolate in the cake, I prefer to use cocoa powder because it’s easier and cocoa powder doesn’t compromise the taste! This recipe guaranteed to yield a cake that is rich, buttery with deep chocolate flavor. What Cake Pan to Use for Homemade Marble Cake? I baked the cake with mini loaf pans because I love small packages. The batter makes three mini loaves. You can use regular loaf pan to make it and it will yield one, or a standard rectangle cake pan. Marble Cake - rich and buttery homemade marble cake recipe with lots of chocolate. Every bite is chocolatey and sweet. Make it at home today. Use an electronic beater to mix butter and sugar until well combined or pale yellow in color. Add in the first egg. Beat well after each addition of egg until creamy. Scrape down the sides and add in vanilla essence and fold in the flour into the mixture and mix well. Finally, add in the milk. Divide the batter into two portions. Stir the cocoa powder into one portion and mix well. Transfer the plain batter into the greased baking pan. Shake it lightly to distribute evenly. Pour the cocoa batter in the middle of baking pan, and lightly swirl the cocoa batter with a butter knife. I usually do the "S" shape with the butter knife a couple of times. Do not overmix. Bake until golden brown and cooked, about 40 minutes. If the top turns too brown before the cake is set, cover the top with aluminum foil at 20 minutes mark to prevent the top from being too brown and crusty. Insert a cake tester in the middle of the cake to test doneness. Bake longer if the middle of the cake is still wet. Remove it from the oven and let cool on the wire rack for 5 minutes. 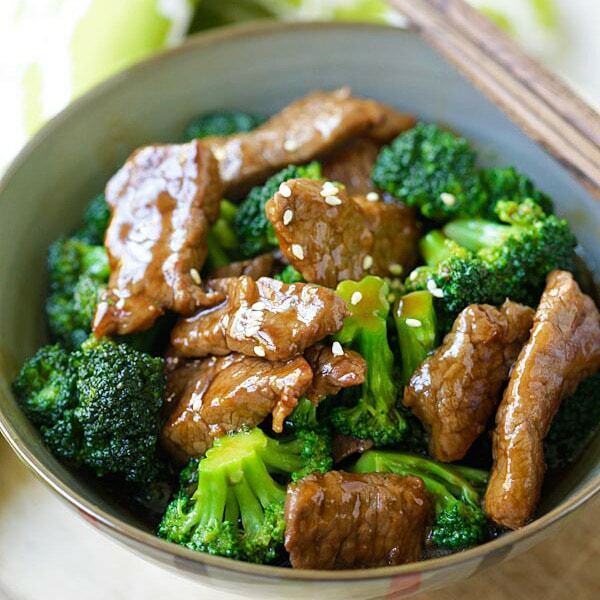 Remove from the pan, sliced and serve immediately. (On a completely unrelated subject) – Speaking of bakeries, have you ever tried the milk bread and cinnamon buns from Continental Bakery? Yes Su-Yin, they were always wrapped in plastic, I remember too. I love marble cake. Where is Continental Bakery? I am in Irvine, CA, USA. Is chocolate marble cake considered a traditional Malaysian dessert? I have a daughter doing a school project and wanted to make sure she wasn’t overly influenced by her sweet tooth in her selection of a traditional Malaysian dessert. Thanks for your help. I think Su Yin means Continental Bakery in Nagore Rd, Penang. How long would you cook the 3 Mimi liaves for? I love House of Annie and love your pics of her pretty marble cake. Wow it looks delicious! I love marble cake. I am still on my diet program now. I can only eat my first dessert in December. My plan is to have a small piece of cake. I think I will eat marble cake. Thanks for sharing. December, another month to go. Good luck and have a few pieces of marble cake when you can. Hehe. Hi Bee! I didn’t know you had made my marble cake! Hope you liked it. I just made it myself a few days ago. What a good idea to make small loaves. I was wishing I was back in the US so that I could buy that Nordic Ware mini bundt cake mold so I could make tiny ones too. Thanks for the link. Annie – I love the marble cake!!! As good as the butter cake recipe you gave me. I made this cake yesterday and it tastes so good. I used melted chocolate instead though. How do you usually store cakes like these in our humid weather? I placed them in the fridge and microwaved a few pieces this morning. Hi I’m thinking of using melted chocs as well, what’s the amount that you used? Sorry I don’t know as I didn’t use it. I have recently baked this too. Unfortunately, I fit everything into my loaf pan and it was too big! The outside was already cooked way before the inside was done…. So it ended up with a rather dry crust. I will love to make them again in minis. May I know how long it took in the oven for the minis? I am sorry you had a bad experience. I think I did warn people that this recipe makes a very big cake so if you are going to use a loaf pan, it’s best to split it into 2 regular loaf pans or in Bee’s case, 4 minis. Hope you will give it another go. Sure I will give it a go again! Maybe I will just halve the recipe because the full recipe really makes a lot and it turned sour before we even manage to finish half of it. I was saddened to have to trash it. This is simply awesome, looks so moist and tantalizing! Alice – yes. Moist and buttery marble cake, and pretty, too. Hehe. Thanks for sharing the recipe, you got the texture just perfect with that marbled effect on the slices, it looks moist and delicious! The marble cake looks like a super posh version of the marble cakes I used to eat when I was a kid – I will have to try it out one of these days! Yes, please try out Annie’s marble cake recipe. It’s a keeper! Thanks for trying my marble cake. Looks like mini marble bread lourves. Nice! Yes, I love minis. Make the marble cake tastes better. Looks buttery and so good! Yes, buttery and chocolaty. Great marble cake! Gorgeous Bee. Love marble cake. It looks so moist and buttery. Syrie – thank you and thanks to Annie for her great recipe. Yummy! Tiger Roll? I heard about it but I am not that talented in the baking department lah. Have you made it? check this cake against some of the others and draw your own conclusion. I made this cake over the weekend and it really is delicious. I used sour cream instead of yogurt and large eggs instead of x-large and it came out fine. With the batter, I was able to make 4 mini loaves AND a dozen cupcakes. The cupcakes were done in about 20 min and the loaves about 45. Since I’m pregnant, I had to make sure I didn’t eat it all, so I have been giving it to friends and they all LOVE it! So thanks to you and Annie for a great recipe. I’ve been making cakes for years, always the sponge or oil version. I could never make a butter cake as it always rose perfectly in the oven but fell when taken out. This is the first butter recipe i’ve made perfectly, the cake was fabulous not only in taste but the texture was light and fluffy. I can’t tell you how pleased i am to have found this recipe. Now im going to let my imagination run wild and see what else i can come up with. i am making my sister in law this marble cake for her 15th birthday next saturday. i was wondering if i had to adjust the baking time or the temperature if i was to bake it in a 9 inch round thats 3 inches deep? i don’t want to waste ingredients by testing it myself so if anyone out there knows the answer please help!!! i want to make this cake but wgat size pan should i put it in so i can fit all of it in it ? This recipi is awesome! The cake turned out so moist and tasted so good. My husband complimented me that my cake is better than the best bakery we used to frequent. Really a must try! Thumbs up! I wanna know how many gms is 1 cup coz I prefer to weigh it. hi,ANNI,ur recepie of marble cake is marvellous. This recipe makes 3 mini loaves or 1 regular loaf. You can cut all ingredients into halves and make it 1 smaller loaf. Could you kindly let me know how much is 1 cup. Some recipe for 1 cup is 250gm and others is 125gm. How about yours. Just use American cup to measure. I’m making my grandaughters graduation cake and she wants a marble cake. My pan is a 11 X 15 X 2. Is this recipe enough to make a full pan and fill it? A lovely recipe. Thank you, Bee. Happy New Year to you and your family! I’d like to know if I can use self raising flour instead of plain/multipurpose flour? How would that affect the measurement in this recipe, taking into consideration it has baking powder? Thanks. Joanne, I am not sure because I have never used self-raising flour for this recipe. You can try. Bee! don’t understand why directions say makes very large cake? 7 oz flour, 7 oz pwd sugar is not going to produce large cake of any kind. I love to bake doing it 45 years & followed your directions to a tee…all very easy & simple. But this recipe produced very little batter…so i used 1 loaf pan 8 or 9inches…was too big even for this amount of batter. plus 4 eggs & 2 1/3 sticks of butter, 4 tablespoons milk…all these wet ingredients for 7 oz flour….creating moist batter..then divide in 1/2?? creating like maybe 7 oz plain & 7 oz chocolate! the odd spongy chocolate overpowered the plain batter. love marble cake which i make often and love, …this resulted in a very odd tasting cake, like 3 inches hi. actually the amount of butter overwhelmed the 7 oz of flour …gave the cake an ‘oily fried’ taste. was a huge disappointment. no one liked it…had to dump it. so sorry, love your site, but i don’t understand how everyone thinks this is a luscious cake..terrible flavor, bland, too wet, not moist, and was cooked through not raw or underdone….very poor balance of ingredients…odd flavor and weired spongy texture, not fluffy.. sorry to be a party pooper…will still keep all your other wonderful receipes! hey you can’t please everyone lol we all have different taste…. When the recipe was originally published, it was my House of Annie’s marble cake here: http://www.houseofannie.com/marble-cake-recipe/ and hence the comments section was referring to her old recipe. You can try her recipe and see if it’s to your liking. I first published the post in Nov 1, 2009 and I have updated the pictures and the recipe, which is clearly stated in the post. Over the past few years, I have really loved the marble cake recipe which I adapted from my butter cake recipe…those comments were old. I should add a note to the top of the post to avoid confusion. Thank you for your attention. I baked this cake for my friend’s bday. I only have one piece left. :) really liked it but would the recipe work out if I put in less butter, maybe about two sticks? 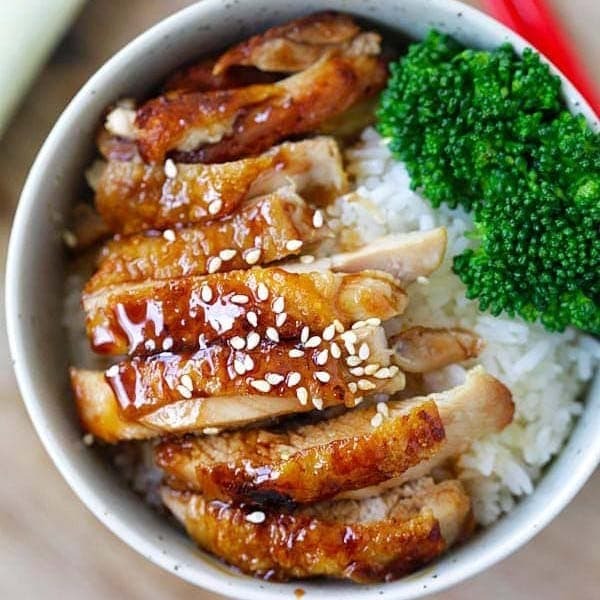 What beautiful photos for this recipe! Really adds a lot to it. Totally inspired to try it. is there somethimg wrong with the receipe ? there is no yogurt ? There are many variations of marble cake…no yoghurt in this. Thank u so much. I love baking now n its cus of u!!! :) i have also gained 5kg n its also cus of u!!! Lol. How do u cook n bake so much of yummies n yet stay in excellent shape?? Im envious of u!!! Hi Sanity, awww, thanks so much. Annie’s version is awesome, but I can’t always remember the recipe/measurement. I have baked my butter cake recipe so many times that I know the measurement without referring to the recipe, so it’s become so easy to make this Marble cake recipe since it’s adapted from the butter cake recipe. I mostly just taste the foods I make for RM a little bit to be sure they taste good and I let others finish eating them. LOL!!! Ok. Just so I get this right. I see from the old 2009 comments some peoples got messed up because it was too much batter for their pans, but that’s from Annies recipe? From your’s above, this can be made in 1 regular loaf pan, it doesn’t have to be the 3 mini’s? I personally want to get it done once, I don’t want to make 3 separate pans. Thanks in advance, I just don’t want to have the issues they had above with doneness etc, due to using the wrong pans. Thanks in advance. Found this blog/site randomly, but it seems awesome. Yes, please disregard old comments – that was related to Annie’s recipe. This recipe makes one regular loaf pan or 3 mini loaves. This should keep overnight as it’s very buttery and moist. I tried this recipe and it was awesome :) thanks for the lovely recipe! Looking forward to trying this recipe and bless my parents and in-laws with this marble cake. I’ve two 5″ cake tins, and I wld like to check if this recipe is sufficient for the 5″ tins? Wow I followed the receipe closely and guess what? I get the result like the one in the picture. My 4 yr old niece says she likes the cake and give me a thumb up! Thanks for the receipe. My mom’s receipe for this cake is instead of fresh milk, she uses condensed milk. It will taste sweeter but can reduce sugar in this receipe. 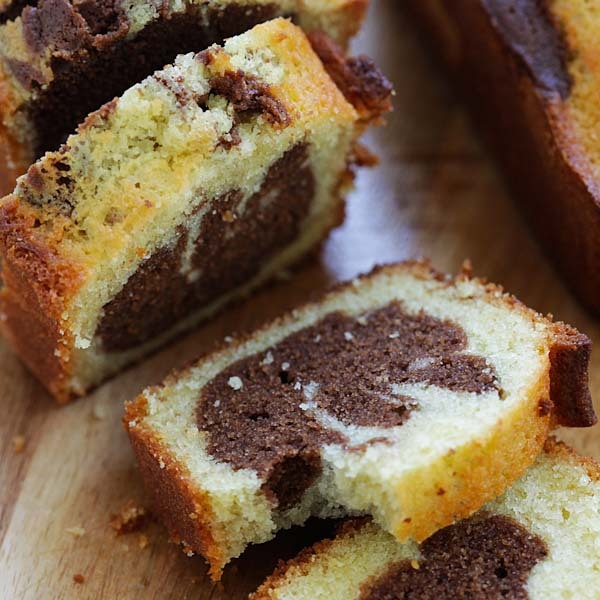 Great that you have success with this marble cake! Can this recipe be used for zebra cake? Meaning, is the density of the mixture flows easily n form concentric circles when I scoop alternate spoons of the two mixtures? OMG this is indeed the best marble cake, ever !! I have been dying to eat marble cake but it is so hard to find dense, moist, buttery ones these days without the sweetness being too overpowering. Decided to bake one myself (and for the baby in the belly) and although my marble cake swirls Failed, it still tasted yummmmmmy!! Not perfect outlook wise for my first bake cos maybe I am still getting used to my oven, my cake ended up splitting at the top a little, and was slightly crusty.. but practice makes perfect. So long the taste is fantastic, it doesn’t have to look fantastic for me. loL. Thanks for your recipe!! It’s a keeper! Oh my swirls failed but it looks like the brownie butter cake instead.. Hahaha..
when the cupcakes first came out of the oven, they were super nice and fluffy to eat. delicious. But the next day.. they got a bit harder? or denser? is this because it is too moist? or because it’s too dry? i couldn’t tell.. Yes the next day is usually dryer and harder because it loses the moist. You can wrap tight with shrink wrap to prevent that. When i put the cake into the oven, what should the heat be set to? Do you happen to have recipe for butter almond cake by any chance? Will like to try something different. I tried your recipe word by word and ingredient by ingredient 100% as you have written and it turned out to be a hit!! everyone LOVED it, i wish i could post the pics of my cake here. THANKYOUUUU for sharing this HIT RERCIPIE!!! One thing though, i once tasted a marble cake at a friend’s and its texture was not web like, it was more moist and i did not feel like having a liquid like tea of coffee with it. Our marble cake just feels like odinary sponge cake in texture. Could you suggest an alteration to our cake so it is more moist? 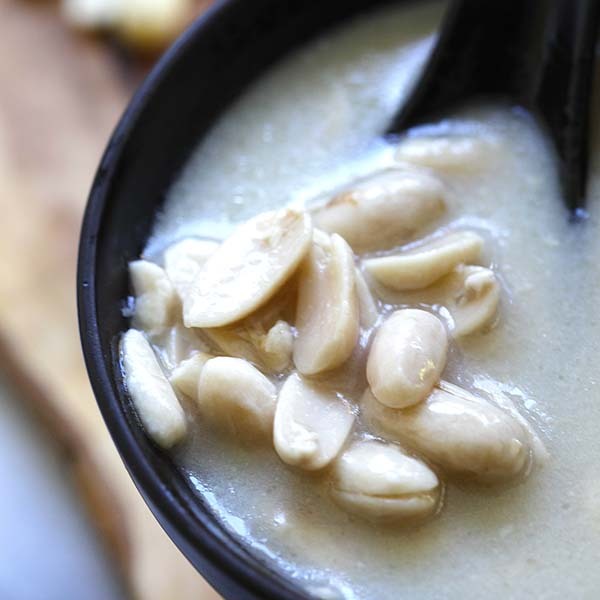 You can use sour cream or yogurt instead of milk in the recipe. Hmmm, it shouldn’t be, it’s supposed to be very buttery. Can I use a 9X9 inch square pan? do I need to adjust the recipe? Roughly how long to bake? Yes you can but I am not sure about the exact time of baking, you can use a cake tester to check doneness. Hi Bee, I was in malaysia a couple of months ago and had some marble cake that I loved. I found your recipie and I am very grreatfull as I have been craving the marble cake I had in malaysia and after making it and the first bite took me straight back to Malaysia. Thanks for sharing this lovely cake. Hi Andy, yes, this marble cake recipe is excellent. I don’t know why the marble cake found in the US is so dry and not very tasty. So glad that you were in Malaysia. Our food is absolutely some of the finest in the whole world!! How many servings is the cake? Tried. Simple steps but yield real good results. I even baked it in pressure cooker. Moist and buttery cake. this cake is in the oven right now, I’m hoping it will turn out well. I just noticed that you put there to serve immediately but what I really want to do is put some frosting on it and serve it tomorrow for my nephews bday. Do you think it will work? I want to make this recipe, can I use regular sugar? does it have to be icing? I don’t usually use icing unless I am dusting cookies or for a specific recipe such as x mas baking. Also I want to replace milk with yogurt can I follow the same direction as the milk with 4 tbl? this cake was very good but the dividing concept should be thought out more evenly. i tried making the but dividing the batter into two different sections while adding another seven ounces of powder just made it extremely dry and i had to add milk to make it batter. a suggestion; you should re write it as an exact dividing portion. Do you separate the egg yolks for this? Yes this marble cake recipe is so good! Maybe the butter you use. Cut it down by a little bit. 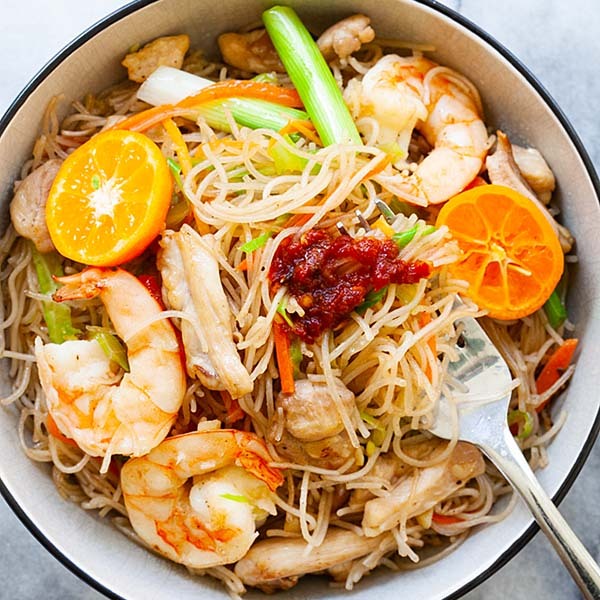 This is a really good recipe! Moist but not oily and just fluffy enough. Thanks for trying my marble cake recipe. Hi, I just tried to make this but the chocolate portion did not turn out as dark as yours in the pic. I used exactly the same measurements as yours and mixed the cocoa in vigorously but it was only a light chocolate shade. Any idea why? Thanks! I don’t know why maybe your chocolate is less rich? I used Hershey’s cocoa powder, which has never disappointed and always creates dark chocolate cakes. The cake tastes delicious but choc flavour is not that great. I did add more! But it was still so light in colour. Try to use hersey dark cocoa powder or better with dutch processed cocoa powder. Hi Bee, I’ve tried ur marble cake recipe. Ur instructions are so simple and clear to follow. And the cake tastes great. I understand that caster sugar can also be used in this recipe as you’ve mentioned earlier but how much caster sugar is to be used? Is it the same measurement as the icing sugar? You can keep it in the kitchen at room temperature for two to three says. Just cover up but it might turn drier after the second day. Baked this and it turned out very well. Spongy and yummy. I didn’t use loaf pan but a tube pan. Super delicious. It stays well too the next 2 days as I kept it in the oven (I lived in Germany and weather is cold). Thank you for the super recipe. Hi Ann, yes this marble cake recipe is super delicious. Thanks for trying. Thanks for sharing this recipe, it seems very tempting. However, can I substitute butter for oil ? I am not sure, I have never tried oil in my marble cake recipe. Drooool. This looks absolutely perfect! It’s been too long since I’ve had a good marble cake, but that’s gonna have to change! This look ridiculously good.I absolutely love cake.Thanks to share your yummy cake recipe. I just bake this and it turned out well, in fact its very tasty. I followed the recipe without alteration except when i put them together in the cake pan, i alternate the two different flavours. Thanks for recipe, i will do it again. Simple n ez to make too. Is this 7 oz weight or volume? Thanks for this beautifull recipe. Delicious cake recipe. I like that it isnt crumbly like others I had baked. I added 1 tsp instant coffee powder to the cocoa batter to make it taste more chocolatey. The recipe is a keeper. Hi. Baked this cake tonight and the result is too oily. If I want to cut the butter a bit, how much does it will accommodate to still have a moist cake? The temperature is also too high that made my cake burnt. The outer already done but inside is still runny. I bake another 15 minutes in a lower temperature and it’s cooked well. It’s just the cake became so dry outside but still oily inside. Cover the cake with aluminum foil so it won’t burn. To cut the butter, I guess you can cut by 2 tablespoons? Was looking high & low for a simple buttery cupcake recipe & finally found one. Its a treasure recipe, i used yr marble cake reciipe to bake cupcakes. Awesome, so happy you tried this marble cake recipe. That marble cake waken a lot of childhood memories. I love all of your recipes and I just made that cake. Hi Reema, thanks for trying my marble cake recipe. Hi Reema! I tried the marble cake recipe yesterday. The taste was super moist and delicious. But the problem was the top layer was hard and crusted. The cake sunk in the middle and a little portion was uncooked. I used a loaf pan. I’m also not able to figure out what happened. What do you think I did wrong? You need to bake longer. Cover the top of the cake with aluminum foil half way into the baking, or when the top has set. Hi, like to try your marble cake recipe but my son is allergic to egg white. Is there any recommended substitute for the eggs?